As bloggers we all struggle with the basics of blogging; creating content, getting traffic and monetizing. There are thousands of articles that will share methods and strategies with you that you can try to improve any one of those areas. But blogging is not just about content, traffic and dollar signs. Those aren’t the main struggles; sometimes the main struggle is you. If you’re not mentally strong, determined and thick-skinned, blogging may be challenging for you. I know it’s a challenge for me because I’m not all of those things. I’m pregnant with my third, which causes me to be in a constant mental fog, tired and super sensitive. Mean comment leaves me in tears and low traffic days on my blog makes me just want to curl up on the couch watching The Office while eating cereal. So after recently stumbling upon an article going through the key points of mentally strong people, which turned into a bestselling book by Amy Morin, I decided to write down the mental challenges I face daily with my blog. This list is mostly a personal pep talk. I know I struggle with each of these key points daily. Some days I’m a rock star, squatting 105lbs, getting thousands of page views and staying on top of my emails. Other days, all I want to do is sleep. Regardless, I hope this list helps you too. You’re not in this alone. We’re all struggling with these topics. But if I can be successful with my blog despite my challenges, you can too! I’m a sensitive person, or maybe it’s just the pregnancy hormones, but I frequently fall into the comparison trap. As a blogger it’s difficult not to compare yourself with other more successful bloggers in your niche. “What is she doing that works so well?”, “I’ll never be able to make that much money.”, “My blog looks terrible compared to hers.”, I fight off these thoughts all the time. Half the battle with blogging is overcoming that negativity. It is so easy to compare your week old blog to a four-year-old super successful blog and completely forget how much hard work went into it behind the scenes. Don’t compare your day 1 to their day 1,000. When these negative thoughts creep in I can allow myself to feel down for days. But I need to remember that it’s my choice how I feel. I can also choose to see their success as motivating and continue to work hard. It’s so easy to see blogger who has done this for years and completely get demotivated and doubt your own abilities. If you know you’re good at something, use that skill to grow your online business. Sure, there are many people that are fantastic photographers, or crafters or who throw Pinterest worthy parties. But is there only one successful photographer that you know? Or do you know a few? Even if someone else has similar abilities to you, your voice is unique, your experience is unique and you can build a following online. You can find your niche and be successful. Mentally strong bloggers know that building a business from scratch is no joke. 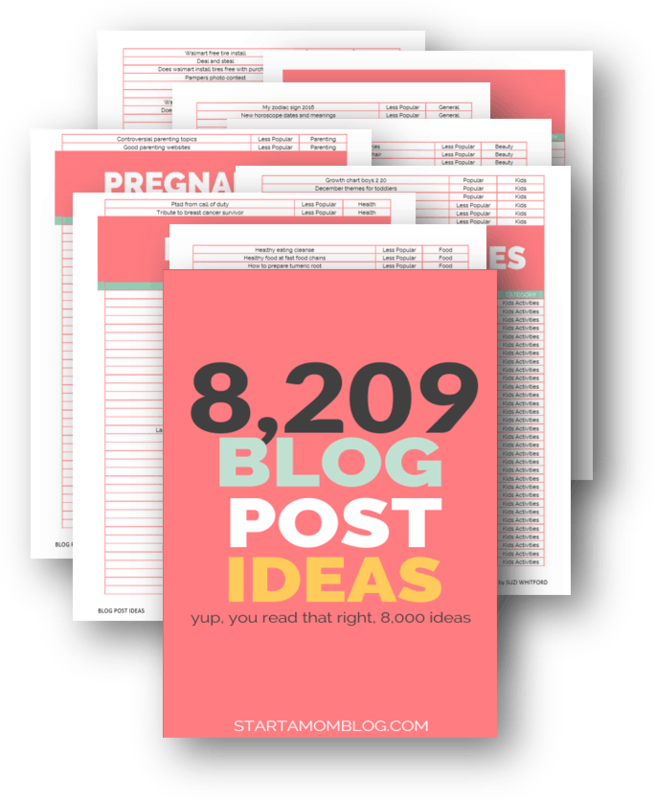 You’re most likely starting with zero followers and zero page views, launching a brand new blog to the world. The climb to success seems impossible, but mentally strong bloggers do not give up. They understand how challenging it is to grow a new business, and the challenge excites them. Knowing that if they work hard enough, continue to test out new strategies and always focus on their reader, they have the ability to reach millions! This is a difficult topic. Most people like to be in control of their future and environment. As a mom, I’ve become a bit more controlling; trying my best to create a safe, loving and nurturing environment for my children. One of the hardest challenges in life for me is to recognize that I’m not in control of everything. That the best thing I can do is pray, trust and work hard. It’s a waste of time to constantly worry about the things you cannot control, or to allow your mind to be overrun by the fear of the unknown. Mentally strong bloggers understand that algorithms and technology change and that the strategies they use today will have to be changed and adapted to new challenges in the future. Accepting that there are things that are out of your control allows you to adapt quicker and grow faster without getting stuck in old ways. Inevitably there will be readers that visit your blog that may not agree with your viewpoints. Your blog is open and public for others to read, and not everyone will become a true fan, or even a fan at all. Mentally strong bloggers know that if they want to help someone, they’ll have to offer specific advice. And that same advice may not work for others. It’s okay to receive a bad comment every now and then, or an email from a reader who does not agree with your viewpoints. Your mental strength and courage will need to keep you focused on the big picture when these little rocks come your way. Compared to other side hustles or work from home jobs, blogging is relatively low risk. But it does require smart investments to grow to the top. Hosting, courses, ebooks and online tools can quickly add up to a few hundred dollars a month if you don’t invest wisely. Or you could waste weeks of time by never investing in the right tools you desperately need. 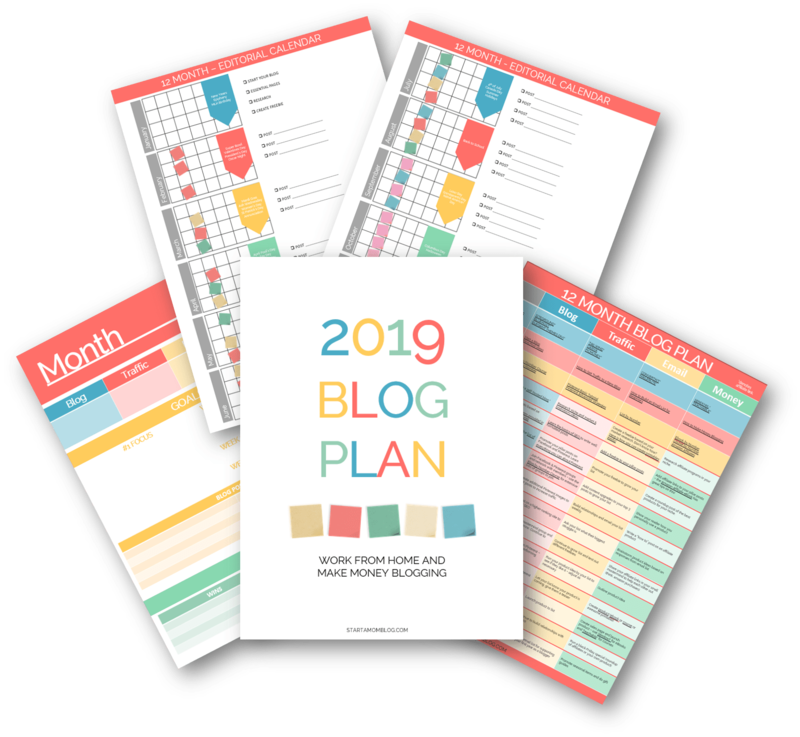 Smart bloggers know when they can DIY it, and when they need to invest in a course or tool to help them manage their business. They are not afraid of investing in themselves and growing their online business. Nothing will keep you from success as much as continuously focusing on your past mistakes and failures. Mentally strong bloggers know that their focus needs to be on their end goal and vision. In the same way that surrounding yourself with negative company brings down your mood, so too will focusing on your mistakes and failures bring down your success. The best thing to do is to acknowledge those failures, assess what went wrong, learn from it and move on. If you’re constantly thinking about the chocolate you just ate that threw off your diet, then chocolate will always be on your mind. Get the negativity out of your mind so you can open yourself up for success. Ah, this is personally a difficult one for me. I am constantly doing the comparative game in my mind. It’s a weakness and not something I am proud of. But instead of letting the resentment drive me to paralysis, I use that fuel to power my work ethic. When I see others succeed, it drives me to work harder. They’ve proven that it can be done, they’ve blazed a path. If one person can do it, then I can too. 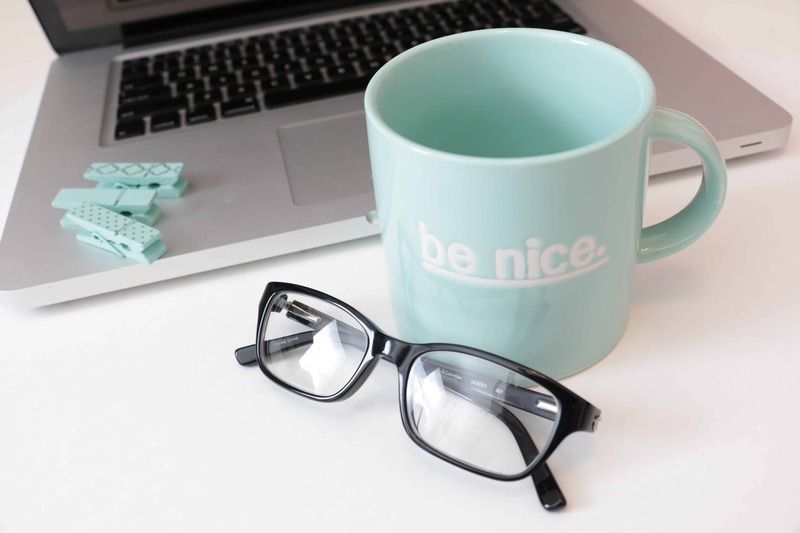 Mentally strong bloggers, and I’m not always in that camp, see other’s success, congratulate them, and do not let it cause a dark pit of resentment within them. Let other’s success fill you with motivation, not resentment. One of the hardest parts about blogging is that you have to put in a lot of work upfront to see a slow benefit come in. It takes months or years for some bloggers to attain full time earning status from their blogs. But the main reason why some bloggers end up making thousands per month, while others just fade away, is because they never give up. If Google changes its algorithm and all of their traffic screeches to a halt, they work on other traffic methods. If Facebook no longer shows their posts in the news feed, they shift their focus to Pinterest or Instagram. And if one source of income dies away, they work on other sources to keep their income growing. Blogging is constantly changing so your traffic and monetization methods will need to be adapted too. Mentally strong bloggers do not let algorithm changes, affiliate pay structures or sponsored post revenue changes derail them. They never ever give up. This point may be appealing to some, as many bloggers are actually very introverted. But the majority of your blogging career will be spent with your computer as your only companion. Blogging will allow you to create countless virtual friendships with others online. You’ll be able to Skype, chat, message, email, post, like and tweet with people you truly feel connected to. But you’ll have to make the effort and reach out to them. If you plan it, you’ll be able to meet all of the friends that live inside your computer at blogging conferences or get togethers. But honestly, blogging is lonely if you don’t make connections. It’s also another big reason why many bloggers give up. There is no one beside you keeping you accountable or motivating you. It’s just you and your computer in the first few months of blogging before you start making friends. Don’t fear the alone time, don’t give up, it is so worth it. And the number one reason why bloggers fail is because they expect immediate (or quick) results. It took me 6 months before I broke $1,000 with my blog in a month. It takes many bloggers much longer. In the beginning, you won’t be making the big bucks. You’re building a business from scratch and that takes time. Every word you write, every post you share, every Pinterest image you create is another little brick in the foundation of your blog. You can’t expect a half built blog to make $10,000 per month. The beauty of blogging is that you can start making coffee money from day one. Let the little numbers motivate you! Set a realistic monetization timeline for yourself when you start blogging. Instead of aiming for $10,000, aim for $100. Once you hit that, then increase your goal. Realistic goals will keep you motivated and prevent overwhelm and paralysis. Below is a very quick timetable for monetization and email list goals. Once you know how to make $100 with your blog, and how to grow your list to 500, you have a strong foundation for building a very successful blog. I hope this list helps you as much as it helps me. I need the constant reminder that my attitude has a bigger impact on my blog’s success than anything else. If I don’t stay positive, motivated and determined, my blog will suffer. If you ever need motivation or help, I’m here for you! Let me know in the comments if you struggle with the same challenges. Let me hold your hand and show you how to grow and monetize your blog. Join over 500 other students who love the course! I can so relate, you know this because I’ve emailed you so many times lol! I love this list, it is exactly everything I face also just getting my start in the blogging world. Last week was great, I finished a lot of ‘back end’ work, but this week haven’t looked at it. I need to get myself on a schedule. Diane, thanks for all the emails! 🙂 Staying consistent is a big help when it comes to blogging, you’re doing great, a schedule will help immensely. I love the idea of that super simple goal table. It just shows that Rome wasn’t built in a day and not to expect $1000 from day one. Blogging isn’t as easy as people think so I can totally relate! Thank you so much for this. It is exactly what I’ve been needing. I started my blog in January and I’ve been feeling discouraged. Thanks for the boost! Love this post and it’s so true. I struggled with playing the comparison game when I first started, it’s hard not to because we all think that we should be farther than we actually are. Since I’ve created my blogging schedule and focusing on what’s working for my blog, it seems to be working great for me. It sure is slow progress, but at least I am seeing growth. I totally agree with you about not quitting. It’s hard to keep working on something that takes so long to bear fruit. However, one of things that every successful blogger has done, is keep working on their blog even when it wasn’t making a penny. When we’re just starting out, it’s important to keep our expectations low. There’s so much to learn and do, we can’t expect to see overnight results. I think that most of us get into blogging with unrealistic expectations. Thanks for sharing these mental tips with us. Congrats on your success, I’ve read your story more than once and it’s very impressive. Great list. I am reading this at the right time for sure. I love the quick timetable for monetization and email subscribers. I’m going to create one for myself, print it out and look at it every day. I also have to get myself on a tighter schedule, especially with summertime quickly approaching when my bigger kids will be home. Thanks for the tips. I agree! The summer throws me off too – and if I don’t have a plan, it’s easy to lose focus. Great idea adapting the goal chart for yourself!! This is a great post! much needed because I fall for a lot of these bad “mental habits” too. I also really appreciate you adding that goal chart at the end! Thank you and congrats on the coming of your third child. Thank you Jody! So happy you like the goal chart, and thank you for the congrats. 🙂 We’re excited to welcome another little bundle to the family. It really is an uphill battle to stay mentally focused as a blogger. But if that’s what a person really wants to succeed in wholeheartedly, there’s nothing that’ll hold she or he back from achieving their blogging goals. Even if it means working a job for less pay and working on your blogging side hustle for the moment earning just a can of beans. Visionary bloggers are mentally engaged in longevity. They don’t think about the moment nor do they bother with writing just a few sentences and calling it an official blog post. They stay in the trenches, discovering new ways to stay creative in their blog marketing efforts. They’re focused on churning out quality content and being helpful to readers looking for their questions answered. visionary bloggers don’t bother with focus in on building inbound links and improving their search engine optimization in the moment. They focus on two things; creating quality blog content and answering readers questions. These are two fantastic ways of building an honorable blogging status and long-term blogging credibility. Great comment! Long term vision is necessary for a successful blog! Thank you! Thank you so much for this post. I recently started blogging and this post is very motivating for me to keep going and stay focused. Your posts are very useful Suzi. Thank you! Thank you so much Rosa! I appreciate it! 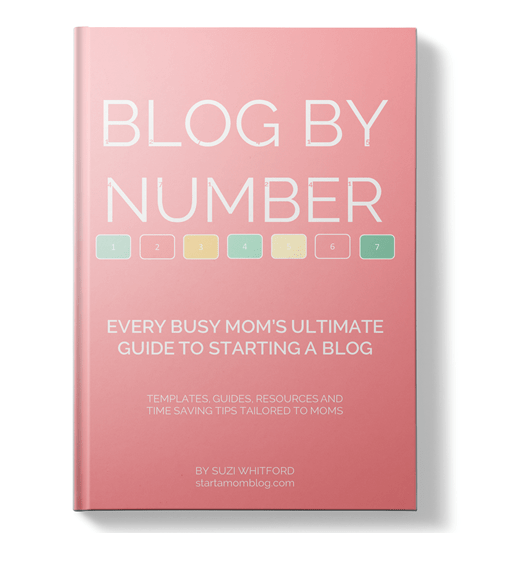 These tips are even more critical when you’re just starting your blog! Glad you found them. YAY! I am NOT alone! Thanks bunches for being super real and sharing the hard stuff. Everything you shared is absolutely on point. I know everyone of these apply to painting also. The REAL stuff. The truly EPIC and LIFE-CHANGING stuff will endure and overcome these obstacles. ~Daily. Thank you Sandy! What’s the point of sharing if I can’t be real? I struggle with these things daily – you are so not alone! It is a huge trap for me to start my “work time” looking at other people in my niche for inspiration, but I am realizing that is doing more harm than good. Got to stay focused and create your own! Thanks! I’m working on much of what you covered here. Thank you for sharing what could become setbacks if I’m not aware of these few things. It is hard work. When I worked full-time I looked at other bloggers and thought, this looks real easy. As if anyone can do it – but that is not so. I am beginning to see this as more than just a hobby. It’s my baby, my business, my future. Thank you for this post Suzi. You really are an inspiration and such a help. You give such great content, I genuinely appreciate every word! I liked how this post outlined the truth about some of the feelings you can experience as a beginning blogger. This will help me to prepare my mind for the challenges ahead.